A Romanian government advisor sparked outrage Monday after posting a video clip comparing the country's president to Hitler as political tensions simmer after mass anti-corruption protests last month. 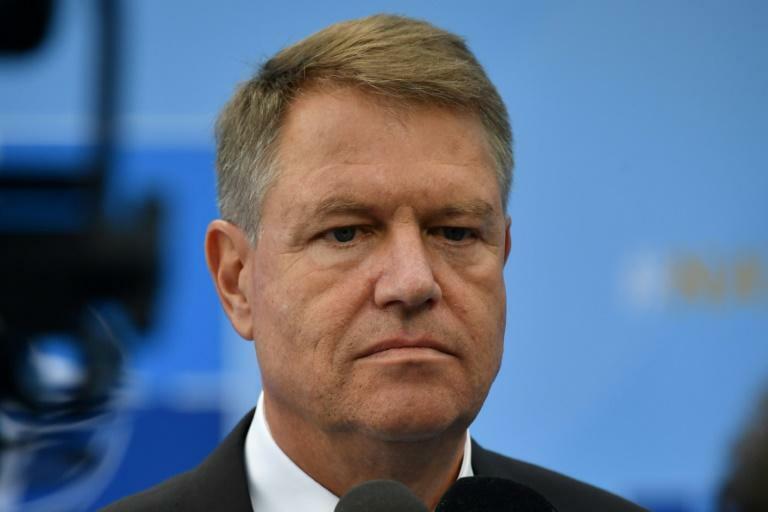 The clip shows an altered photo of centre-right President Klaus Iohannis, a strong government critic and ethnic German, sporting a hairstyle and moustache like Adolf Hitler. Under the photo, it reads "Heil Iohannis" with a Nazi salute. The video, posted by the left-wing government's advisor, Darius Valcov, on Facebook, also describes the group Democratic Forum of Germans in Romania (FDGR), which Iohannis led until 2013, as a "Nazi organisation". Valcov, a former finance minister of the ruling Social Democrats who is appealing an eight-year-prison sentence for corruption meted out by a court in February, removed the video after a flood of outraged comment. Opposition National Liberal Party spokesman Ionel Danca called for Valcov's dismissal, saying the clip "was extremely damaging, undermining the presidency and the memory of the Holocaust victims". FDGR president Paul-Jurgen Porr told AFP that such attacks were "deplorable, even more so as Romania gets ready to take over the EU rotating presidency" from Austria in January next year. He said his group would write a letter to the prime minister also urging Valcov's dismissal. The government, long besieged by anti-corruption protests, came under renewed pressure last month following violent clashes when 80,000 Romanians rallied in Bucharest. More than 450 people, including 30 police, were injured after security forces charged protesters with teargas, drawing strong criticism from Iohannis, among others. Following this, Labour Minister Olguta Vasilescu caused an outcry 10 days ago by describing Iohannis as "cheeky, as a German, to speak of attacking (people) with gas". Six million Jews were killed by the Nazis in the Holocaust during World War II under Hitler, many of them in gas chambers. Romanian Foreign Minister Teodor Melescanu -- during last week's visit by his German counterpart -- said he "firmly rejected" all attacks against the country's ethnic German minority, descendants of Saxons and others who settled in Transylvania from the 12th century onwards.